During your stay in Zwickau in our nice castle hotel you can discover a lot in the region around the hotel. Zwickau, fourth largest city in Saxony, has a beautiful historical city where you can stroll through small alleys and enjoy the small restaurants and cafés around the cathedral of Zwickau. Theater lovers will be amazed of Zwickau’s various programs at “Gewandhaus” at Hauptmarkt, at “Theater Plauen Zwickau” and at “Musiktheater”. Here you can visit regular shows and performances. The settlement of the automotive company “A. Horch & Cie. Motorwagenwerke” in 1904 was the beginning of the automotive industry in Western Saxony. Still today the city of Zwickau is known as important automotive city because of its former Audi factory. Discover the history of this industry at the August-Horch museum in Zwickau. Besides the automotive museum, another cultural highlight of Zwickau is the Robert-Schuhmann-Haus. The composer was born in this house at “Hauptmarkt” Zwickau. Today you can discover in eight rooms the life and work of Robert Schuhmann. All around the Dom St Marien and the "Hauptmarkt" the beautiful historical city of Zwickau is spreaded. Besides cozy cafés and excellent restaurants you can find here various interesting buildings and memorials. Two round trails through the small alleys let you discover the life of Martin Luther and Robert Schuhmann. The origins of the priest's houses go back to the 13th century. 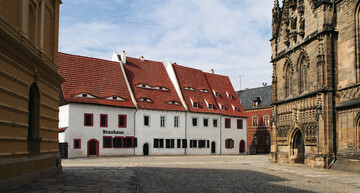 Therefore the buidling group on the "Domhof" in Zwickau is one of the oldest residential buildings in Middle Germany. Since 2003, you can find here the city's history museum which exhibits the life of the middle ages vividly. The city's church St Marien is known today as cathedral Zwickau and is located in the historical city of Zwickau. The image of the city is formed by the Baroque bell tower. However, the main part of the church is designed in Roman style. Why it is like that? Just visit the cathedral and find it out! Dance and music fans will love the concert and ball house "Neue Welt". In the beautiful terrace room regular shows, concerts, balls and dance tournaments takes place. During a stay at the Hotel Schloss Schweinsburg the concert hall is really worth a trip. 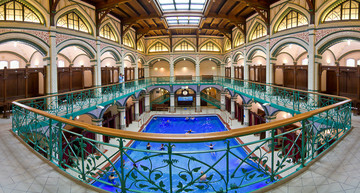 Tourists and locals can find silence and relaxation at Johannisbad Zwickau. During a visit you will enjoy a touch of oriental wellness culture. In impressive architecture you enjoy a large swimming area with jaccuzzi and a large area with sauna and steam baths. The hightlight is the snow room. Here is snows the whole year around. On 275 km spreads the "Silberstraße" (Silver road) from Zwickau to Dresden and up to Czech Republic. On this vacation road, you will discover the nature of Erzgebirge and many sights of the minery from deap tunnels to treasure chambers. On the whole road there is a lot to discover for young and older people. The art collection at Max Pechstein museum gives impressions in the art of Late Gothic until Classicism and from Romantic to the German Impressionism and Expressionism. 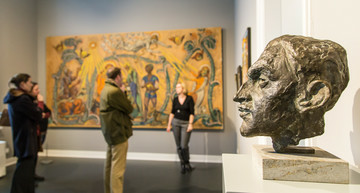 The heart of the exhibition are the creation of the Zwickau artists Max Pechstein. 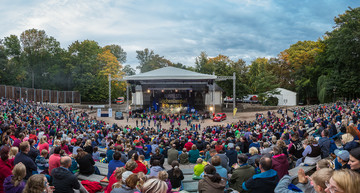 The open air stage Zwickau is located in the landmarked park Schwanenteich. In the middle of the beautiful nature you will find here an arena which is event location for various events. Especially in summer concerts, open air cinemas and cultural events take place here. In about 20 minutes you will reach the stage from our hotel in Neukirchen.